Artistic rendition of the Shijian-16 satellite. Rui C. Barbosa has posted an article entitled Chinese conduct surprise Long March 4B launch with Shijian-16-2 on the NASA Spaceflight.com infosite. The news story reports that China conducted another orbital launch, this time orbiting the Shijian-16 (#2) satellite via the Long March-4B (Chang Zheng-4B) rocket. The launch took place from the Jiuquan Satellite Launch Center at 03:21 UTC on Wednesday, lifting off from the 603 platform at Launch Complex 43. Little information was available about the incoming launch, with NOTAM’s only appearing a few days before the event. However, this only hinted at the launch of a bird to be placed in a 75 degree orbit. A previous launch to use this inclination from Jiuquan included the launch of Shijian-16 on October 25, 2013. Following launch, Chinese State media did confirm the satellite was the second Shijian-16 satellite, to be used for “space environment measurements and technology testing.” NORAD reported an object orbiting in a 595 x 616 km x 75.01 degree orbit, similar to the previous Shijian-16. 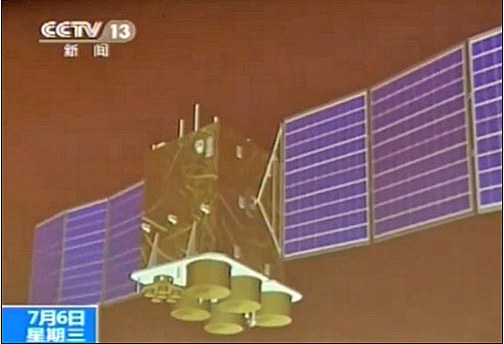 The Shijian-16 spacecraft are technology satellites used to probe the space environment, radiation and its effects, record space physical environment parameters, and conduct other related space experiments.